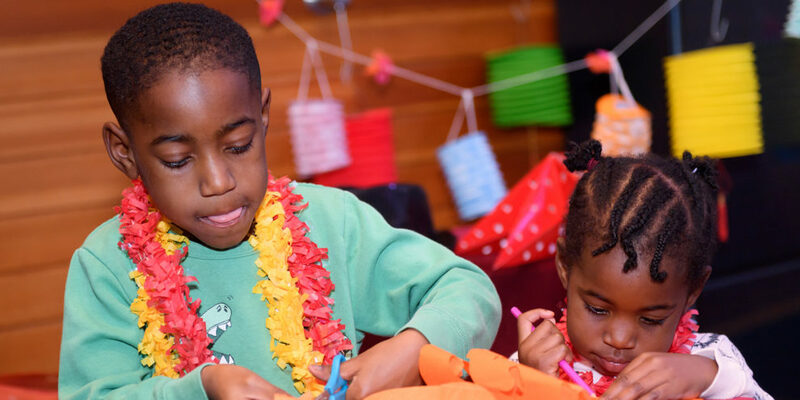 Head to our Hippodrome foyers this February half-term for free holiday workshops in storytelling and crafts. Get inspired by Asian legends and New Year traditions from across the world, and try your hand at creative activities based on these stories. There are also fun activities related to our upcoming family show, The Little Mochi Man (Sat 24 Feb), with one of the cast members! There will be something for everyone, with a range of activities suitable for all ages and all abilities each day. Our wide variety of sessions means you can make and take away something different each day. Activities will take place on Monday, Wednesday, Thursday and Friday – Tuesday is Birmingham Royal Ballet’s exciting Relaxed Performance of The Sleeping Beauty! Drop in for an hour-long session or stay with us the whole day – our Deli Bar will be offering a selection of sandwiches, snacks and hot drinks to keep you going! Parents can grab a coffee and relax – or have a go at everything too. Please feel free to drop in! However, as our foyer activities are always very popular, we recommend booking in advance where possible to avoid disappointment on the day.